Abbey Demolition’s Commercial Demolition services are some of the best in Oakville, Burlington, Hamilton, Ancaster, Dundas, and the GTA. Our skilled tradesmen will ensure that all of your demolition needs are met while simultaneously providing minimal disturbance to the surrounding community. Abbey Demolition employees have access to a large array of professional machinery specialized for large-scale demolitions, including high-reach arms. Our skilled tradesmen will work with local city and regional departments to secure the proper permits before beginning demolition. 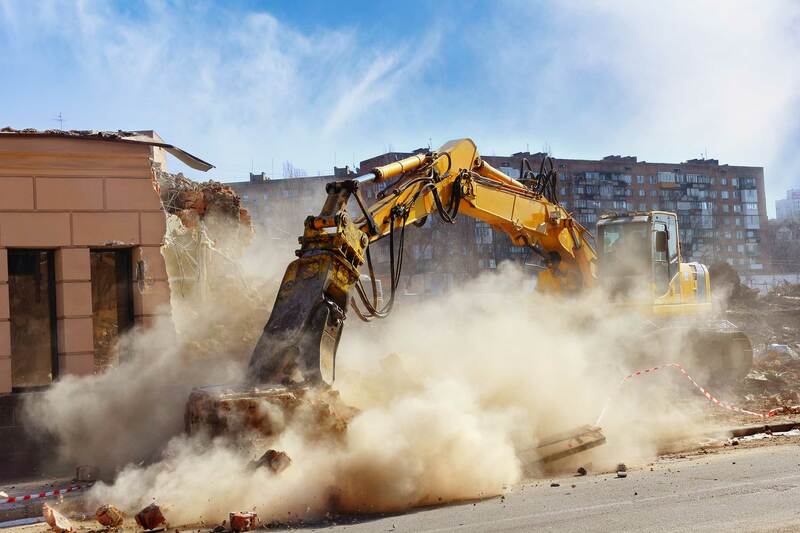 Since we are a professional, full-service demolition company, our employees understand how disruptive commercial demolition procedures can be, especially within a small community. Abbey Demolition will concentrate on creating minimal disturbance within your community. Abbey Demolition also practices environmentally friendly demolition procedures and is highly dedicated to preserving our environment’s well being. We work to ensure that all reusable materials are diverted from landfills. Abbey Demolition is fully insured, bonded, and WSIB certified. We cater to both the industrial and commercial sectors and provide a full-range of demolition services. To date our demolition services extend across Oakville, Burlington, Mississauga, Hamilton and the Greater Toronto Area.